UPDATE @ 5:23 PM : The price now looks to be verifying at $628/person instead of $528. This is usually an indication that the popularity of a deal has caused the price to rise. There's a 7 night package (includes flight, hotel, all meals, all drinks) from Toronto to the Royal Decameron Montego Beach in Montego Bay, Jamaica departing on December 7 for $528/person after all taxes and fees. The Ultimate All-Inclusive Deal Finder has calculated this deal as having a Deal Score of 81 out of 100, based on price vs quality. - This is less than it usually costs for the flight to Jamaica alone! Never mind with accommodations, and unlimited meals and drinks. - The reviews of the Royal Decameron Montego Beach on TripAdvisor are pretty much all Excellent or Very Good . This fact, combined with the low price, is what leads to the high Deal Score. I like deals where you're getting the most for the least. 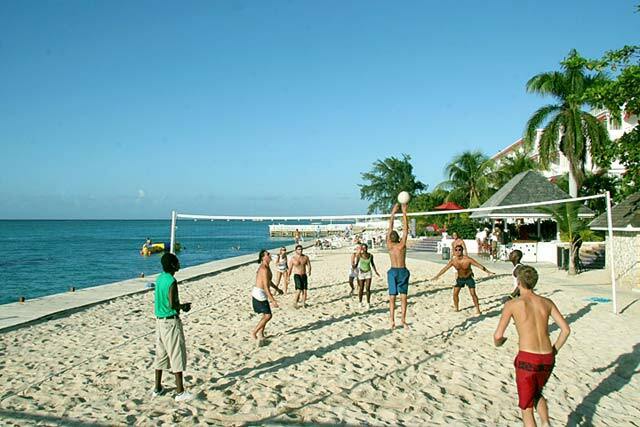 - Amazing deals to Jamaica are more rare than amazing deals to Mexico or Cuba. toronto, yyz, caribbean, montego bay, jamaica, mbj, western caribbean and all inclusive deals. One Response to "Last minute 7 night Jamaica package, with meals and drinks - $528/person after taxes & fees"
I've stayed there. It's very nice. The beach is small (not miles for long walks or anything), but the food was good. (Rack of lamb any night you like!) Make sure to go down and make your reservation in the morning, and then you can eat at the a la carte restaurant every night of your stay. Have fun! !